Weather permitting, we have outside seating in the front and back. ​We have a cozy sunroom too! Betty's is HIRING! Click here for an application. Fill it in. Print it. Bring it in. 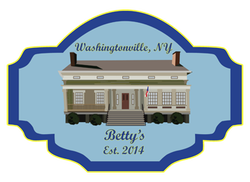 Join the Betty's Team!